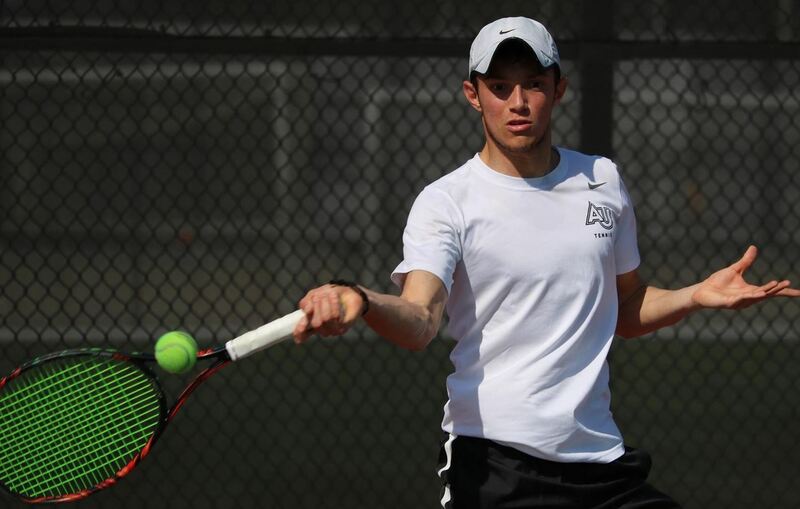 Luke Attride-Stirling and his Adelphi University Men's Tennis teammates snapped its winless streak to start the season in emphatic fashion picking up a 7-0 sweep of Saint Michael's College on the road in Northeast-10 Conference action. David Leader who is also part of the team was not in the line up for this match, but Attride-Stirling and Robres de Veciana won their Doubles match in the number two spot defeating Matt Mosher and Jake Remillard 6 – 3. Attride-Stirling playing in the number two Singles spot defeated Max Allen in straight sets 6-2, 6-0.